Delicate paper flowers star in Valerie's (homemademodern.blogspot.com) mantel. She cut petals from brown paper bags and arranged them in flower shapes. Creasing the petals is crucial, she says. "It gives the flowers dimension." Salvaged and backyard items make up the rest of Valerie's mantel. Using the natural elments available during fall is an easy way to celebrate the season. Fall doesn't have to look rustic. 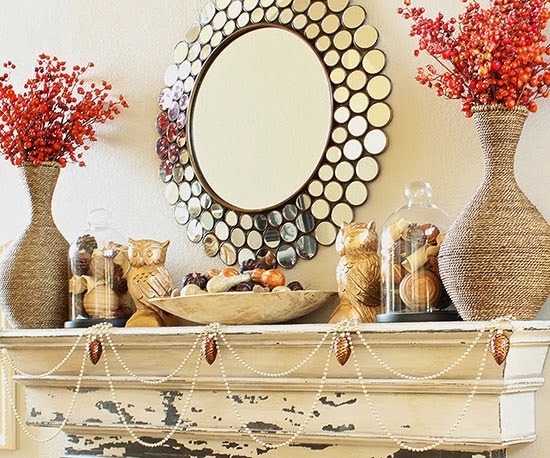 Emily from decorchick.com followed her penchant for panache and added rich metallic touches throughout her fall mantel. A bold circular mirror anchors the arrangement, and vibrant berry-filled vases create balance. Underneath, Emily filled an antique dough bowl with shimmering pumpkins and gourds. To add glam to a pair of woodland owls, Emily spray-painted them gold. 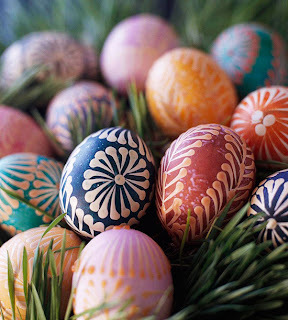 Blogger tip: If you switch your mantel decor often, don't be afraid to borrow from other seasons. The gold-bead garland and copper pinecone ornaments Emily hung from the mantel are Christmas finds repurposed for fall. 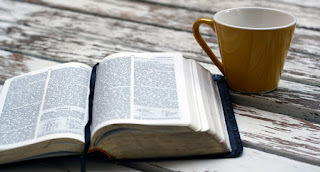 For many people, giving thanks is a big part of fall. Courtney (adiamondinthestuff.com) spoke to Thanksgiving with her warm gratitude-theme mantel. 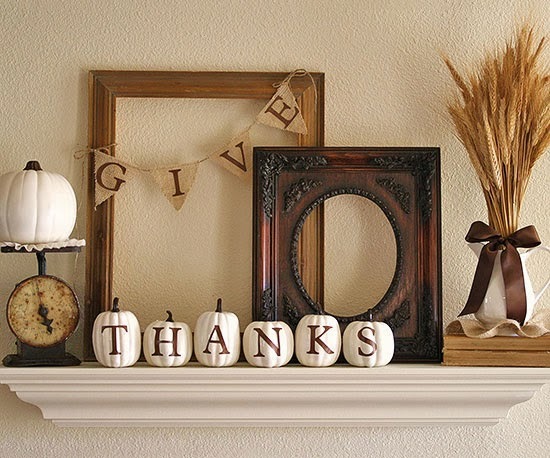 Layered frames and a wheat arrangement add height and depth, while white touches guide the eye across the mantel. Stencils came in handy for the lettering on her burlap banner and painted pumpkins. Myra (myblessedlife.net) took a more-is-more approach to her fall mantel. "I love to layer items for the biggest impact," she says. An antique stove board creates a rustic backdrop for other fall elements. Myra hung her DIY burlap-and-lace wreath from a gilded frame. Make your own wreath by wrapping 1/2 yard of burlap around an 18-inch straw wreath. 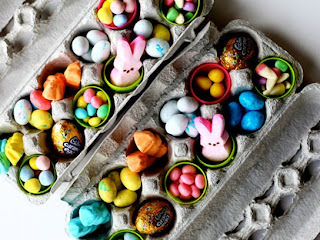 Add ruffles or rosettes with a glue gun to mix up the colors and textures. 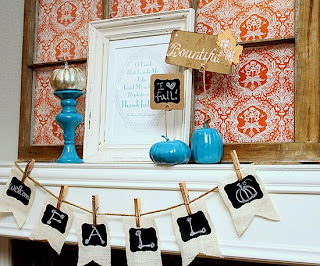 Brighten up your fall mantel by complementing shades of orange with bold turquoise, a la Emily from 52mantels.com. Dollar-store pumpkins become cute photo holders with spray paint and twisted floral wire. Emily made the reusable banner by cutting out pieces of burlap and adding adhesive chalkboard labels. Clothespins let you add or take away pieces, depending on the message you want to send. A reclaimed window frame, transformed with festive fabric, makes a bold backdrop. 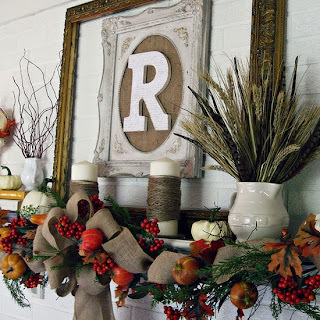 Jessie (dreamanddiffer.blogspot.com) wanted her mantel to feel like a celebration of autumn's abundance. Natural elements, faux pumpkins, and twine-wrapped candles create a cozy, autumnal arrangement. To put her family's stamp on the mantel, Jessie lined a bargain frame with burlap and adhered a wooden monogram to it. 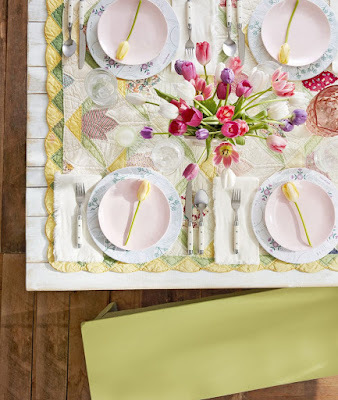 Blogger tip: Two garlands are better than one. Jessie wound two faux-gourd garlands together for a more lush look. Kate (chiconashoestringdecorating.blogspot.com) anchored her classic fall mantel with a dramatic mirror and a DIY burlap wreath. 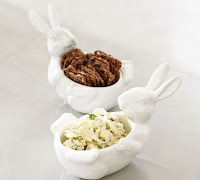 "I love working with burlap because it is versatile and cheap," she says. Even better? 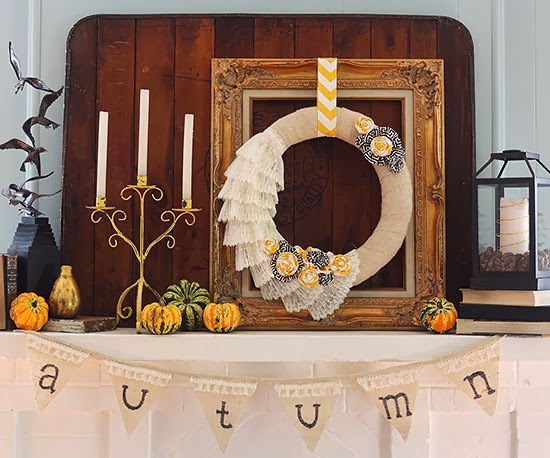 The fall flowers are removable, making the rustic wreath appropriate for multiple seasons. You can make a wreath by looping burlap ribbon through a wire wreath frame, creating a lush, 3D look. 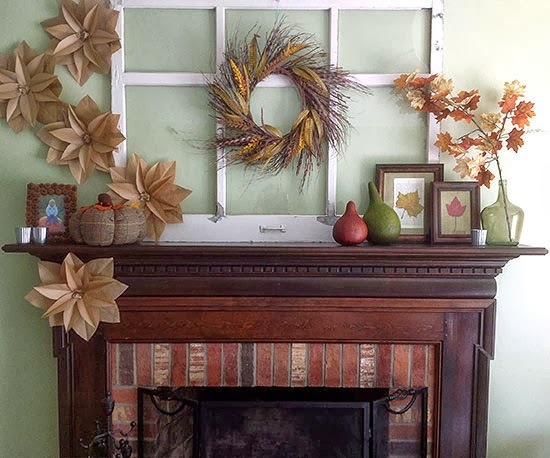 Kate finished off her mantel with burlap-wrapped pumpkins and subtly colored natural finds.